With a fast-paced lifestyle and little time for anything other than what's necessary, there are often many areas of life and leadership that get neglected. But there is one critical element that cannot be forgotten in the midst of life’s hustle – the value of mentorship. Having a mentor is not a sign of weakness, it shows you are smart enough and are driven enough to succeed .You might have a great idea, but you may not know exactly what you should be doing. We might have several mentors over the years and learned a large amount of valuable lessons from each and every one of them. From making decisions to fostering certain ideas, a mentor can help guide you through your journey. Mentors provide information and knowledge and can see where we need to improve where we often cannot. 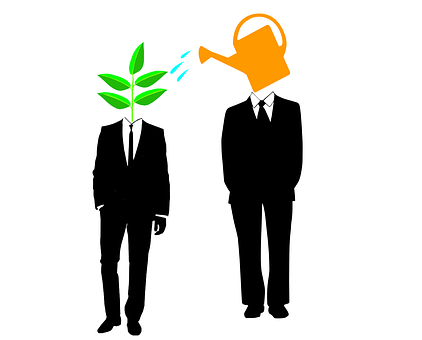 Mentors find ways to stimulate our personal and professional growth. They offer encouragement and help keep us going. Mentors are disciplinarians that create necessary boundaries that we cannot set for ourselves and are trusted advisers. Mentors have the experiences you can learn from to prevent making the same mistakes. Mentors are free, which makes them priceless in more ways than one. Mentorship has single handedly been the most important factor in everyone’s career and life. Mentors are the reason many people are able to follow a successful path. A personal mentor – who is aware about your professional life – is important in making sure you're fulfilled and healthy. Making sure you're spiritual, emotional, mental and physical health are in order is important to being an effective leader and will help you avoid the pitfalls of burnout. Leverage a personal mentor to keep you accountable and help bring perspective on the decisions you're making in business and how they impact you in life. As you learn and grow, you'll be able to contribute similar advice to others who come after you. Leading a team is hard. It takes years of cultivating experience, mentality and character, and if you're a young leader it may not come as easily or as quickly as you hoped. Work with a mentor willing to share their leadership lessons – the pitfalls and the successes – to help train you in leading and inspiring your team with competency and compassion. People who have found success are willing and grateful to share their experiences. You just need to be bold and strategic in seeking out mentors, followed by being intentional in the way you work with them. So, start somewhere. Network, find mentors who inspire you and who emulate the knowledge you want to know, the way you want to lead and the habits you want to copy. Said profoundly by Isaac Newton, “If I have seen further it is by standing on the shoulders of giants.” The power of mentorship cannot be understated. By working with a mentor, you'll learn and grow personally, professionally and tactically.